Cockburn Town Beach, Grand Turk. 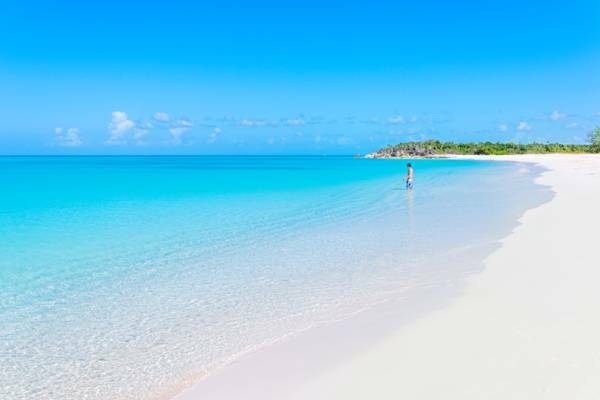 Turks and Caicos: Canada's 11th Province? The exquisite Half Moon Bay Beach is found between the uninhabited Water Cay and Little Water Cay. For more than 100 years, there have been various proposals to annex the Turks and Caicos Islands as a territory or province of Canada. Some of these proposals would make the TCI a full province, whereas others including making them a territory, or incorporating the island as part of an existing province. Many articles have been written about this topic in Canada, although no extensive opinion polling has been done. Writers and journalists generally encourage the idea of Canada obtaining its own tropical ‘Hawaii’ with world-class beaches. Whereas statistics are limited, public opinion in the Turks and Caicos Islands is believed to have reached in high in the 1990s, and support for this union has declined ever since. The lack of economic opportunity in the Turks and Caicos in the 1990s, along with lack of mobility for local citizens, was a likely cause for public support for a union. However, the rapid rise in development in the TCI, with increased standards of living, job opportunities, and the granting of Turks and Caicos Islands full British Citizenship in 2002 (with the passage of the British Overseas Territories Act 2002 granting the right to live in the United Kingdom and European Union) has made a partnership with Canada less important. More recent attempts have focused more on trade and economic unions, and the possibility of a full integration into the Canadian confederation remains unlikely. The original nexus for these proposals can be dated back to 1868, when the Canada First party, a nationalist party, was formed and encouraged a closer connection with the British Empire's Caribbean territories. After World War I, Canada asked for various islands in the Caribbean as compensation for assisting in defending the United Kingdom during World War I. This proposal was rejected by the British Parliament. In 1917, then-prime minister Robert Borden suggested that Canada annex the Turks and Caicos Islands. The idea was not accepted by the parliament of the United Kingdom. In 1974, Max Saltsman, an MP (from the NDP party) for the Waterloo-Cambridge district in Ontario, brought forth a private member's bill to investigate the possibility of a union. This attempt failed. This idea was again proposed in 1986, but it was rejected in committee, due to a range of factors including immigration, banking issues, and health care. Conservative MP Peter Golrding visited the islands in 2004 to investigate (again) the possibility of a union. His motion was declined by his political party, although it remains a possibility in the future. Also in 2004, the province of Nova Scotia voted to invite the Turks and Caicos to join this province, if the islands ever joined Canada. This remove the separate problem of admitting the islands as a new province. In 2014, Turks and Caicos Premier Rufus Ewing once again explored the possibility of a union with Canada, and visited Canada to help improve the relationship between the two countries. 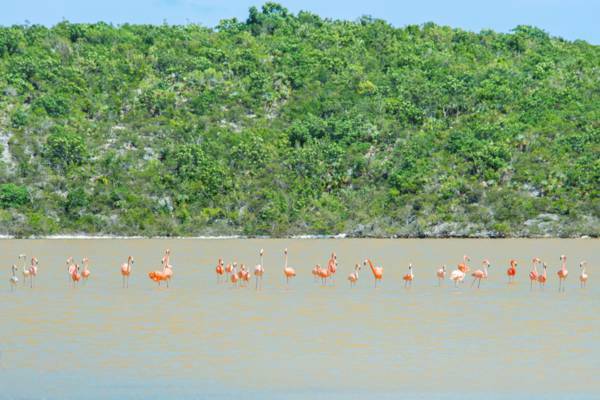 West Indian Flamingos on a salt pond on Providenciales. Proposals have included making the TCI the 11th province of Canada, admitting as a territory, or joining with an existing province. Creating a new province requires the support of at least 7 provincial legislatures (covering at least 50% of the population), and this is an unlikely option. Admitting as a territory requires only an act by the Canadian Federal Government in Ottawa. Joining with an existing province (such as Nova Scotia who invited the TCI to join their territory in 2004) would not have any of the problems to overcome. Canada is the second-largest tourism market (after the United States), and Canadians are one of the larger minorities in the islands. Likewise, many Canadians have chosen to move to the Turks and Caicos and purchase real estate. International flights are offered from both Toronto and Montreal.